Description: The year is 1665. Black Death ravages London. A killer stalks the streets in a plague doctor’s hood and mask. When a girl is gruesomely murdered, thief taker Charlie Tuesday reluctantly agrees to take on the case. But the horrific remains tell him this is no isolated death. The killer’s mad appetites are part of a master plan that could destroy London – and reveal the dark secrets of Charlie’s own past. Now the thief taker must find this murderous mastermind before the plague obliterates the evidence street by street. This terrifying pursuit will take Charlie deep into the black underbelly of old London, where alchemy, witchcraft and blood-spells collide. In a city drowned in darkness, death could be the most powerful magic of all. In the year of the Black Death London is a city of half-timbered houses and dark towers. In the narrow backstreets, astrologists predict the future, and alchemists conjure wonders. Traitors’ heads line London Bridge, where witches sell potions, and gamesters turn cards. The river flowing beneath lands a daily cargo of smuggler gangs and pirates. Loved this from the very start: it is gory, graphic and dead gruesome. Many gizzard for dinner scenes so I suppose this is not for the squeamish, and the murdering hulk is terrifying so this is not for the shiverers either. Rest assured though, it is not a horror fic by any stretch of the imagination. The Thief Taker for all its grisly subject is written in a very upbeat fashion. I would loath to call it YA because lots of people have a very prejudiced mindset when it comes to that shelf. It is a highly enjoyable piece of hist-fic fluff. Holborn Bridge: 1831 Drawn by Tho. H. Shepherd. Engraved by M. Woolnoth. What a debut, and ike Oliver Twist, I’m asking for more of Charlie Tuesday. Three point five plague hoods rounded up for the sites that do not operate on half ratings. Description: How do you solve a crime when you can’t remember the clues? Maud is forgetful. She makes a cup of tea and doesn’t remember to drink it. She goes to the shops and forgets why she went. Back home she finds the place horribly unrecognizable – just like she sometimes thinks her daughter Helen is a total stranger. Everyone, except Maud . . . Some nice ratings around for this one already. Smashing. I thought this an exceptionally clever debut novel, and we really get inside the mind of senile dementia. But what really is senile dementia if not just the notching up of internal dialogue to the exclusion of all else? Well it’s a safety hazard, that is apparent but not scary per se. I thought the grand-daughter dealt with it all better than daughter Helen. Like I said above, a clever debut where the some of the looseness should have been edited out. Three point five marrow flowers. Description: From his humble beginnings in 1851, as the son of a native Irish gardener, Seamus Tobin endures a terrible tragedy that leaves him orphaned in early childhood. His fortunes change when he is adopted by his father’s employer, the lord of an ancient Anglo-Irish estate in County Cork and a leading member of the Anglo-Irish Ascendancy in Ireland. As James Winship, the young man lives the life of a privileged aristocrat, as the young master in the Great House and in school at Eton College and Oxford University. But he squanders the opportunities in a series of misjudgments and mishaps. A final chance at redemption is afforded him as a cavalry officer in British India, where he learns to play polo, hunts wild game, befriends the local rajah, and, most dramatically, leads his troops in a series of pitched battles against the Empire’s enemies. Returning home to Ireland, James Winship becomes involved in the Irish independence movement, which dominated British politics for nearly forty years, working with Charles Stewart Parnell and William Ewart Gladstone. Opening:THE FATHER, William Winship, The Eighth Lord Milleston. London April 1850: Lord Milleston’s Choice. The Carleton Club, one in the morning: Entering his rooms, William Winship felt a little light-headed. Stetching out on the couch, replaying the day in his mind, he thought, What the hell is going on? I thought I would get into the swing of things. FutureLearn course: ‘Irish Lives in War and Revolution, Trinity College Dublin’ starts next Monday. Opening: It was the American novelist William Faulkner who once said that in writing you must kill all your darlings; it was Mike Munns – another writer, but like me, not half as good as Faulkner – who made a joke out of this quote when he telephoned my flat in Putney that Tuesday morning. Ironical it is that this story is published ~ nine months after Prayer. The blurb for ‘Research’ includes this: a book factory publishing many bestsellers a year – so many that he can’t possibly write them himself. Heh. ‘Research’ is a standalone book with unsympathetic, two-dimensional characters and the ugliest cynicism towards the written word and mentality of readers I have ever encountered. I can’t work out if it is full-on satire or just partial but the outcome is the same, readers will be insulted. Every behaviour has its impact. Mainly this is an attack on all those combo authorships of test-tosh thrillers that churn out many books a year, yet Kerr is in his own firing line, two crap books in a year. I took time out half way through just to pick up other stories to reassure myself that some authors still feel passionate about writing and care for their readers; what a breath of fresh air. Although technically this is marginally a better book than ‘Prayer’ purely because it doesn’t bring Old Scratch out to play, ‘Research’ flat-lined out of any enjoyment factor. There wasn’t enough good stuff to make a feedback sandwich so I’ll just deliver the line: cynicism, snark, distain for readers, and authorial career suicide is not a pretty thing to witness. Special Agent Gil Martins investigates domestic terrorism for the Houston FBI. Once a religious man, now his job makes him question the existence of a God who could allow the violence he sees every day. Gil is asked to investigate a series of unexplained deaths of victims known for their liberal views. When a woman tells Gil that these men have been killed by prayer, he questions her sanity. Yet the evidence mounts that there might be something in what she says, even more so when Gil finds that his own life is on the line. This standalone is experimental for Kerr, where he invokes the devil to come out to play. Yep, Old Scratch hisself. RAWR. I feel Kerr has sadly mis-fired here and may have lost some of his fan-base. Next up on my TBR is Kerr’s new one, Research, and I am now slightly nervous about just what the author of the fabulous Bernard Gunther stories is going to throw at me. But each book on its own merit, yes? Random House UK, Vintage Publishing/ Harvill Secker. Translated by Don Bartlett. Description: I refuse to compromise. I refuse to forgive. I refuse to forget. Tommy’s mother has gone. She walked out into the snow one night, leaving him and his sisters with their violent father. Without his best friend Jim, Tommy would be in trouble. But Jim has challenges of his own which will disrupt their precious friendship. Opening: DARK. IT WAS half past four in the morning. I was driving towards Herregårdsveien from Hauketo. Just before Ljan station I turned off to the left over the railway bridge, the lights were red, but there was no one else around, so I turned anyway. 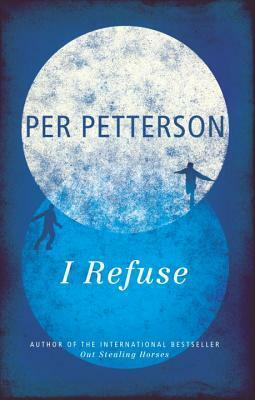 I am inordinately fond of Petterson’s writing when he is on top form, and he so very nearly is here, with a tragic tale of family and friendship. A fab slice of Nordic gloom with an underlying translucency of Steinbeck’s ‘The Moon is Down’ and Telemark, fortified with repression and suppression. Three and a half fishermen. Description: Eleanor Lee is fiercely independent. She has lived alone well into her nineties, despite her now near-total blindness. Now, finally, she has been persuaded by her children to move into a home. She employs Peter, a recent graduate nursing a broken heart, to spend the summer sorting through her attic – papers, photographs, books and letters – ahead of the move. These fragments of her own history unleash in Eleanor a long-concealed story of forbidden love, betrayal, passion, grief and self-sacrifice; and in their unlikely friendship, something is unlocked in Peter’s heart, too. Fell in love with this from the very start and knew unless something drastic happened to radically alter the feeling, this would be a five star encounter. I was getting the same the same buzz that I had when reading The Thirteenth Tale. The Twilight Hour is not a mystery. This standalone from one half of the successful Nicci French authorship has given a throughly intriguing story here, a life-sized slice of skeletons in the family cupboard, so the fizzled-out ending was really hard to take. There were no ends left untied, no threads hanging but no big finale either, and this screamed for a grandiose gesture. Three and a half memory-burning bonfires.